(Elite Daily) "Discussing themes of love, loss, and healing, Milk and Honey finds a way to connect to every reader. " 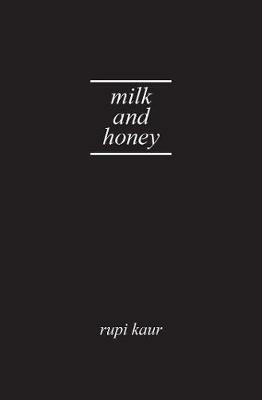 (Business Insider) "Rupi Kaur has vision beyond her years ... Her work is simply but powerfully expressed, and viscerally captures both universal human experience and the particular struggles of a young woman today." (Huffington Post) "At age 24, Rupi Kaur has been called the voice of her generation." (USA Today) "A must-have poetry collection about healing and hope." (Bustle) The honest words of Rupi Kaur leave you continuously wanting more as she writes with eloquence and poise. Her work will send you to past thoughts and realities you might not have known you had.